As we let you know before – A Home Made By Committee is a finalist in the Digital Media Awards 2015 Best Blog of the Year. This award holds its prestige because the winner is chosen based on a review by an independent panel of judges, who evaluate each finalist based on the strategy, design, innovation and results of their entry. However, given the popular nature of blogs, this year there is also a public vote, which allows room for the people’s voice. For 5 days only between Thursday 5th 9.30am and Tuesday 10th 5.00pm, the public can vote for their favourite blog in the shortlist. This is a friendly reminder, or some could say a desperate call, to remind you to vote for us in the Best Blog Post awards. 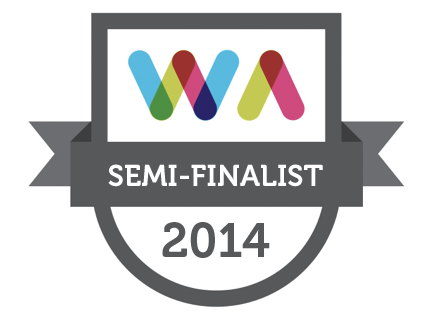 We have been long listed for best blog post for this post. We are thrilled to have gotten even this far, but now that we have had a taste of it we want more, and we need your help. In order to narrow down all the nominees for Best Blog Post, the Blog Awards team have opened it to the public vote. The public are asked to vote for which post they prefer and once the voting closes, the top ten will be sent to the judges to select the winner. So it is basically a popularity contest. We are the X-factor contestants at the end of Saturday night, having sung and danced our hearts out, we would now like to avoid being in the bottom three, or in this case the bottom 50 or so, it’s a long list. How can you help? Please vote. You can vote here. You can vote more than once. You can vote every week, once a week, and we encourage you to do so. We also encourage you to tell friends, family, work colleagues, the guy who sits next to you on the bus, everyone! Tell them to vote for A Home Made By Committee.